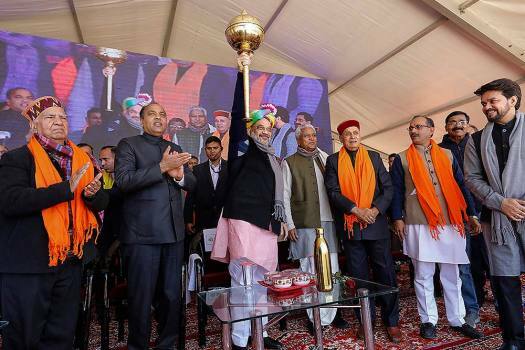 BJP National President Amit Shah holds a mace after addressing Panna Pramukh Sammelan, in Una. 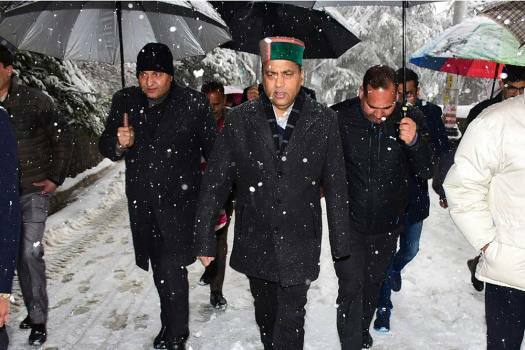 Himachal Pradesh Chief Minister Jai Ram Thakur takes stock of heavy snowfall situation, in Shimla. 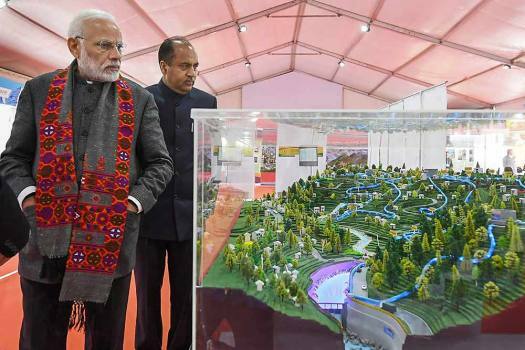 Prime Minister Narendra Modi along with Chief Minister Jai Ram Thakur visits an exhibition at Dharamshala in Himachal Pradesh. 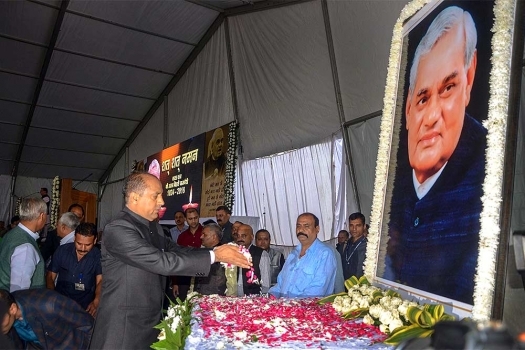 Himachal Pradesh Chief Minister Jai Ram Thakur offers floral tribute to former prime minister Atal Bihari Vajpayee during an all-party meeting, at Ridge in Shimla. 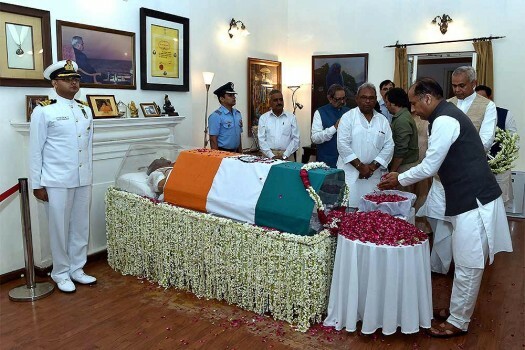 Himachal Pradesh Chief Minister Jai Ram Thakur pays tribute to former prime minister Atal Bihari Vajpayee, at his Krishna Menon Marg residence, in New Delhi. 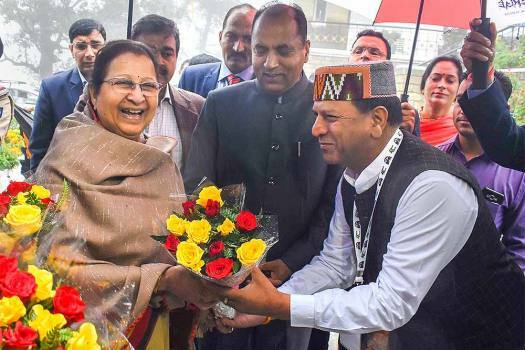 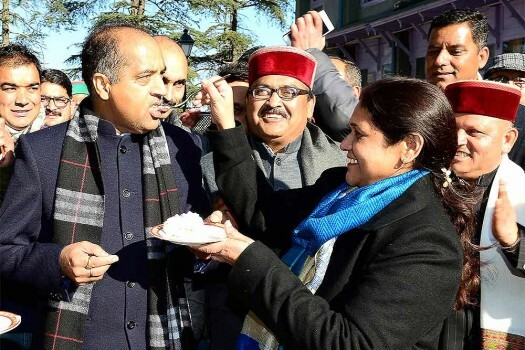 Himachal Pradesh Chief Minister Jai Ram Thakur's wife Sadhana Thakur offers cake to him on his 53rd birthday in Shimla. 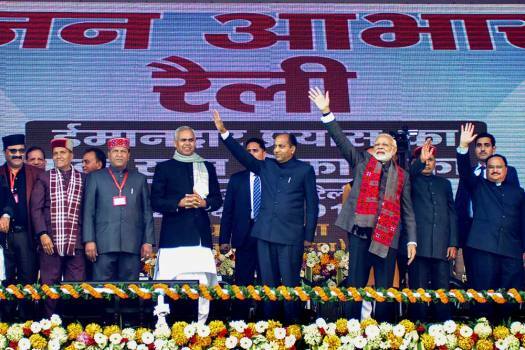 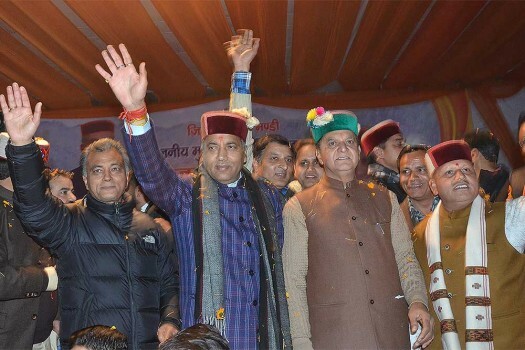 Himachal Pradesh Chief Minister Jai Ram Thakur and ministers at a public rally in Mandi. 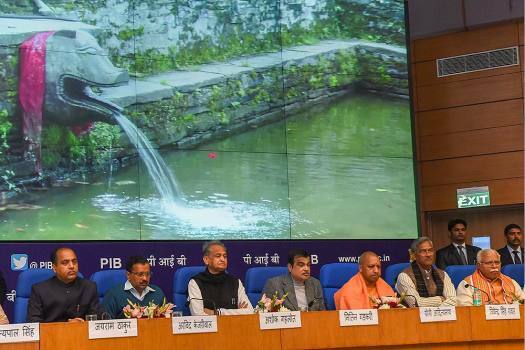 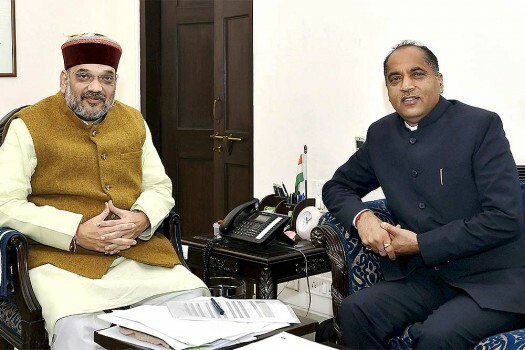 Chief Minister of Himachal Pradesh Jai Ram Thakur with BJP President, Amit Shah during a meeting in New Delhi. 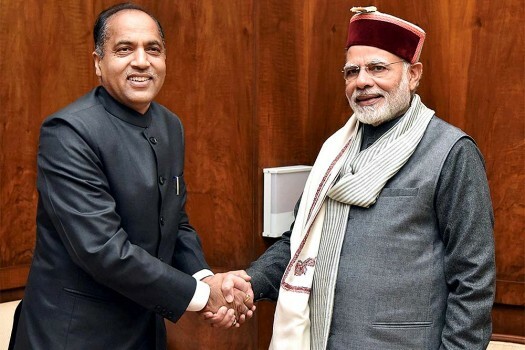 Chief Minister of Himachal Pradesh Jai Ram Thakur calls on Prime Minister Narendra Modi in New Delhi. 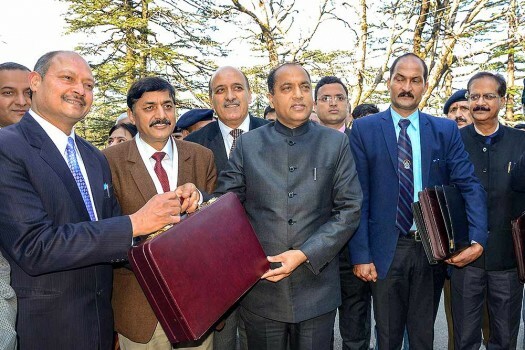 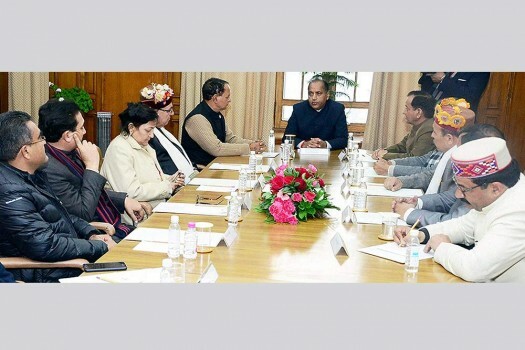 Chief Minister of HImachal Pradesh Jai Ram Thakur chairing the first cabinet meeting in Shimla after swearing in ceremony. 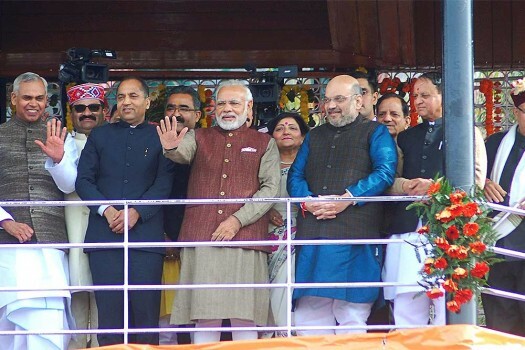 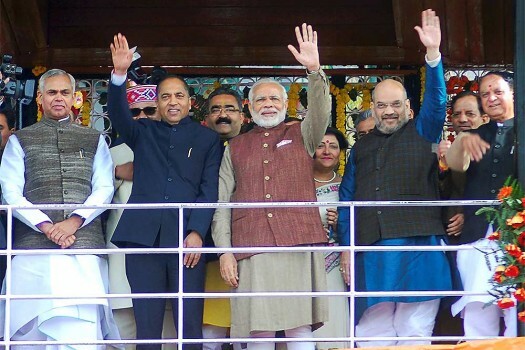 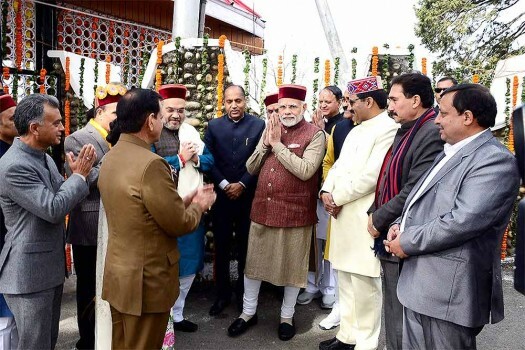 Prime Minister Narendra Modi with New Chief Minister Jai Ram Thakur and newly inducted cabinet minister of Himachal Pradesh in Shimla. 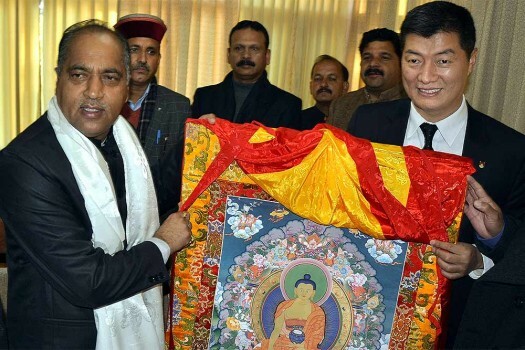 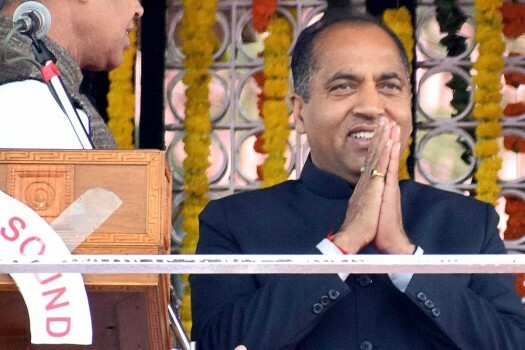 Jairam Thakur takes oath as Himachal Chief Minister during the swearing-in ceremony of Himachal Government at Ridge in Shimla.